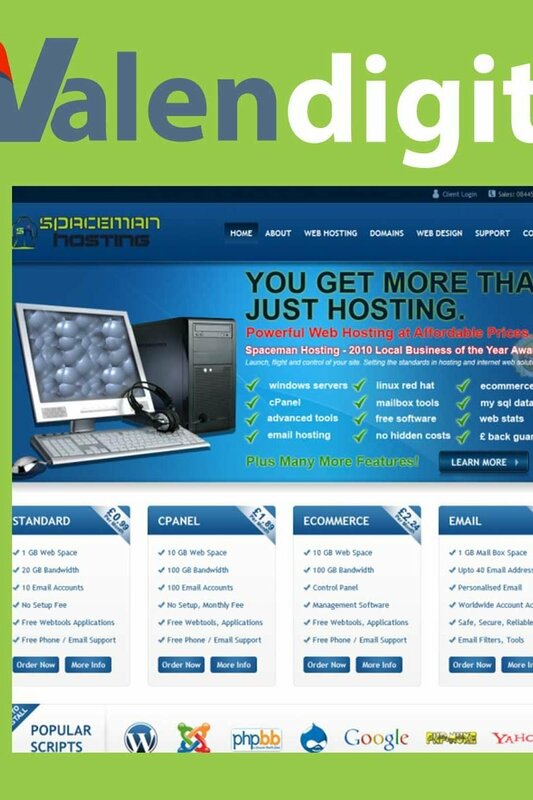 Spaceman Hosting was developed to provide a quality hosting solution to clients located in the West Midlands Region. Spaceman provides affordable web hosting solutions and cost effective web design in conjunction with Umbrella Host and Umbrella Web studio. The design was developed with members from both Spaceman Hosting design team and developers from Umbrella web studio and designed to be compliant with W3C standards. The site was built from the ground up to be W3C compliant, which means that every browser is able to see the site as it should be and is friendly for disabled users.